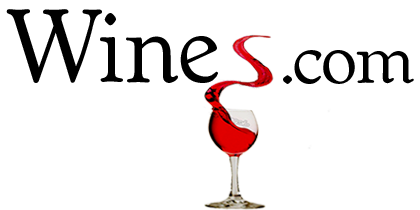 Every wine enthusiasts’ education culminates in hosting their own wine tasting party. Suddenly, you’re no longer listening patiently while the winemaker explains the process of extracting the tannins—you’ve suddenly adopted a new, professorial role, explaining to guests which cheese perfectly complements the robust flavor of that red they like so much. But your first—or even your fourth or fifth—tasting can feel a little overwhelming. There’s so much to consider as you plan your tasting order and arrange the menu. Even the decor you choose and the candles you set out can alter your guests’ experience of the wines. Luckily, there are a few shortcuts you can use to keep everything on track, without ever breaking a sweat in between! While a heaping charcuterie board is a welcome sight at any tasting, it’s important not to overdo it with the table settings. The wine should be the star of the evening, so keep centerpieces simple, and the napkins and serving plates tasteful. Doing so will allow guests to examine the color and body of each bottle. Similarly, prepare hors d’oeuvres ahead of time, so that the scent of your cooking doesn’t overwhelm or complicate the wine’s aromas and make it difficult to enjoy the more delicate notes in each glass. Unless you’re a purist who only associates with other wine aficionados, you probably have some less experienced palates at your table. Therefore, you probably don’t want to go with a super sophisticated theme, such as a horizontal tasting of rare Bordeaux. Wine newbies won’t have done enough exploring to really figure out what they like yet, so your theme should be accessible—something easy to digest like “crisp whites” or “bold reds.” Or go for a regional tasting and let that inform your decor and the food you serve. For instance, if the theme is “Australian wines,” keep things a little more on the rustic side, and choose red meat and hard cheddar that will pair well with a lush shiraz. 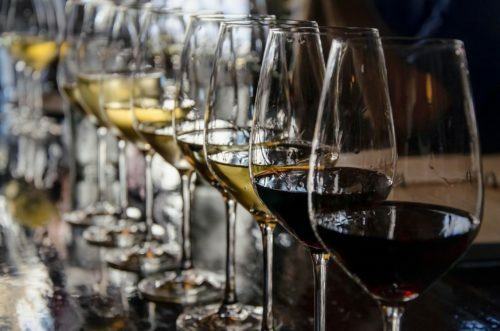 The phrase “wine tasting” means different things to different audiences, so it’s important to set the tone for your guests when they walk in. Will this be a classic tasting where the tasting order matters, where partygoers will be encouraged to take wine notes? Or is this the kind of shindig that’s code for “get tipsy and chat,” where you wouldn’t be surprised to see rosė gummy bears make an appearance? If you tend toward the former, you’ll need to do a lot more research to set up the perfect theme and pairings. Your job will be educating your guests in addition to hosting, so make sure you know your stuff ahead of time. A wine tasting is not a bacchanal—the size should be intimate and cozy so that guests can easily trade notes and enjoy the wine together. Usually it’s best to limit the guest list to about eight to ten names. This way, you won’t have to purchase multiple bottles of the same wine to make sure everyone gets a taste. Generally, a good rule of thumb is about half a bottle of wine per guest. However, if the size does tend toward the larger side, you may want to purchase extra bottles to enjoy afterwards. After all, some guests will probably want a little more than a few swallows! Tasting notes are lovely to have when you need them, but difficult to memorize—and no one wants to juggle a glass of wine, a plate full of cheese, and a card covered in lengthy descriptions. Instead, many wine lovers forego the white tablecloths, which are impossible to clean anyway, in favor of a long runner made from a roll of chalkboard paper. This way, you can write the notes directly on the table in front of the wines, for guests to peruse at their leisure. They can get as much or as little information as they need—and you get the benefit of a super-simple cleanup when the festivities end. With any luck, the evening will flow as smoothly as that barrel-aged cab sav you just cracked open. Salute!